During the first week of Great Lent, Matins is served daily at 6:00 AM and Compline with the Canon of St. Andrew at 6:00 PM. During Holy Week, services each morning are held at 6:00 AM, 8:00 AM and each evening at 6:00 PM. 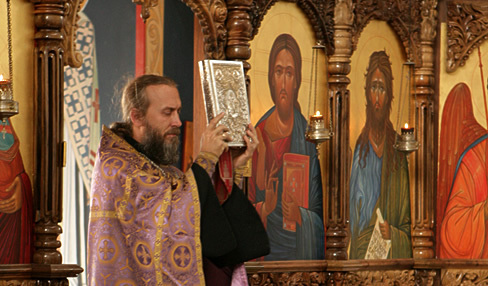 6:00 PM Liturgy of the Presanctified Gifts, followed by a Lenten Meal. 8:00 AM Liturgy of the Presanctified Gifts.